The water pressure in our motorhome is getting lower and lower in the bathroom. Plus it makes a whistling sound when the hot water is running. The sound seems to be coming from or near water heater. I have replaced the connector and pressure valve where you hook it to city water. It still has low pressure in the bathroom; especially the hot water has very low pressure. Any help would be appreciated! Billy, here’s a couple things to check. Remove the faucet strainer at the outlet of that bathroom faucet set. It simply unscrews from the outlet. There may also be a flow restrictor component inside, depending on the brand of faucet used in your motorhome. A flow diverter may also be present; usually a white plastic piece with holes in it. It basically directs the output flow to a certain pattern. Be sure all the components in the tap outlet are clean and free from all obstructions. It’s common for mineral deposits to accumulate in this strainer assembly. It’s possible that significant flow restriction at the faucet would cause back pressure at the water heater. 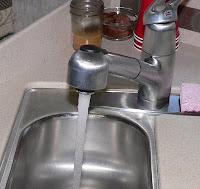 As an annual procedure, it’s also a good measure to perform this simple maintenance task at every faucet in the RV. 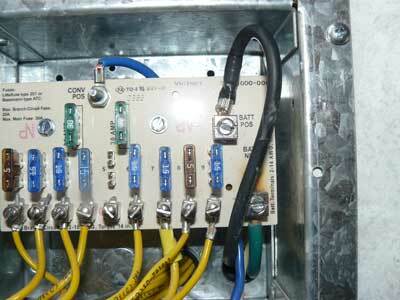 Your situation could also be caused by an issue originating at the rear of the water heater. 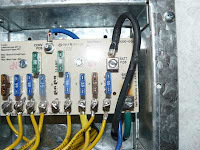 Gain access to the rear of the heater from inside the RV. You’ll probably see a set of bypass valves used for winterizing. First check the valves themselves. You will either have a one, two or three valve set-up that allows you to bypass the water heater for winterizing purposes. Be sure the bypass valves are in the correct position and that the appropriate valves are either fully opened or fully closed. There should also be a check valve at the cold water inlet to the water heater. The cold inlet is the bottommost fitting. 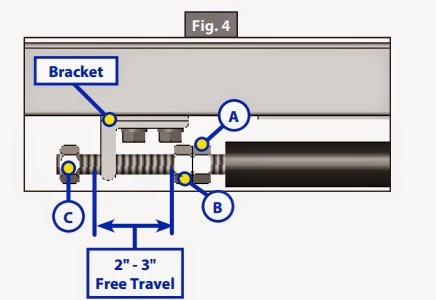 The check valve is a one-way backflow preventer that allows cold water in and prevents the heated water from migrating out of the water heater back into the cold piping system. It’s possible the check valve is partially open; again mineral deposits can prevent the spring inside from closing off the valve completely. This is probably the source of the whistling noise you hear. 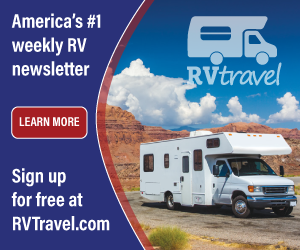 You can obtain a new check valve at your local RV accessory store. It will attach with common pipe threads. Be sure to obtain the correct size. You will have to drain the water heater in order to remove the cold water line plumbed to that check valve fitting. Flush out the water heater as you drain it. There are aftermarket hose attachments available to aid in this process. This will help eliminate those pesky mineral deposits that can migrate to the faucets. When installing the new check valve, apply a pipe thread sealant approved for fresh water systems to the male threads and carefully thread the new valve into the heater, taking care not to cross-thread it! Then simply re-attach the cold water inlet tubing to the new valve, apply water pressure to refill the heater and check for leaks. You’ll know the water heater is filled when you have free flowing water from each hot faucet in the motorhome. It may take a minute or so of running to rid the system of air, but this should eliminate any blockages and that whistling noise. Can you explain the adjustment sequence on how far the slides go in and out with my Lippert slideout? The manual just says to adjust the jam nuts, but not which way. Paul. B.
Paul, I checked with the Customer Service Manager at Lippert and evidently they’ve edited that user’s guide you sent me, to make it a little clearer about those adjusting nuts. As it states below, you move nuts C and B in relationship to the bracket in order to effectuate a good seal. 1. Locate cylinder coming through the frame. 2. Run room partially out. 3. Hold jam nut (Fig. 4A) in place with wrench. 4. Adjust Nylock nut (Fig. 4C) towards the bracket if the room does not seal. Adjust the Nylock nut (Fig. 4C) away from the bracket if the room is too tight and damages the fascia. NOTE: Make small adjustments, running the room in after each adjustment until proper seal is achieved. 2. Extend room completely out. 3. Check the inside fascia and seal positioning. 5. Loosen and back off jam nut (Fig. 4A) from nut (Fig. 4B) to give nut (Fig. 4B) room for adjustment. 6. Adjust nut (Fig. 4B) away from the bracket if the room extends too far and damages the inside fascia. Adjust nut (Fig. 4B) towards the bracket if the room does not seal. NOTE: Make small adjustments, running the room out after each adjustment until proper seal is achieved. 7. Tighten jam nut (Fig. 4A) to nut (Fig. 4B). NOTE: 2" to 3" of free travel is normal. We have a Fleetwood Regal Prowler. It is a seasonal unit, set up at a campground year around. We are hooked up to city water and so do not use the fresh water holding tank. 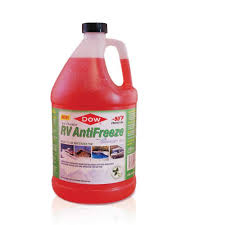 Can I pour 12 or more gallons of RV antifreeze into the tank and use what I need to winterize the trailer each year from what I have stored in the fresh water tank? And an important question, does the stored antifreeze remain stable or does it deteriorate? I see no reason not to attempt what you are suggesting Richard. As long as you never need on-board, self-contained fresh water, why not use the fresh water storage tank as an anti-freeze holding container? RV anti-freeze will have a shelf life, but I do not know how long it will actually stay viable, so check with the suppler to be sure of its life expectancy. I’m sure the producer of that brand will have what’s called an MSDS sheet that should help shed some light on its lifespan. And I’m certain you would not require twelve gallons of it to properly protect your Prowler. 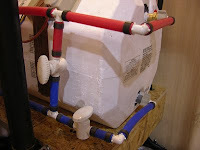 I do recommend a water heater by-pass kit to keep the anti-freeze cost down though. I would venture you’d be able to safely use the same anti-freeze for a minimum of at least two years. You can always test its effectiveness after that by using a coolant hydrometer. I’d run a little through the water pump as well to keep the gaskets and seals moist in there since you never use the pump while on city water. But, shoot….I’d say go for it since you employ city water all the time. If need be, it can always be flushed out later. 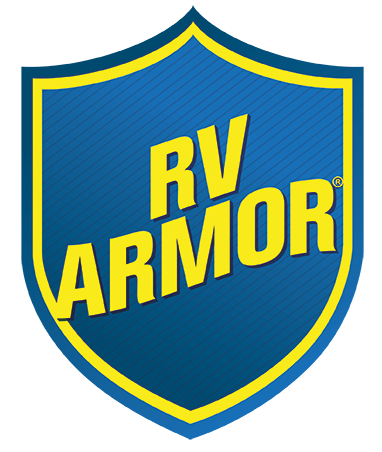 RV Armor or Liquid Rubber? I recently read an article about repairing and re-coating rubber RV roofs. In it was a product by RV Roof Armor and that they come and apply, but I imagine it's pretty pricey, right? At the bottom of the article I read there were three contributors to the article. Specifically I'm interested in Liquid Rubber manufactured by Pro Guard Coatings. Do you have any information about them or any comments about their product? Roger A.
Roger, in the past, I have used a Pro Guard product similar to the Liquid Rubber you mention and it was indeed, satisfactory. Though a great product, I believe spot sealants and coatings are not truly comparable with a roofing "system" such as the RV Armor roof. It's apples to oranges. The only RV roof I recommend is RV Armor. You can’t beat the lifetime warranty and the cost-savings over time. If you factor in the typical and annual maintenance costs, let alone the hassle of having to take the RV to a service facility, it’s an easy decision for committed RV owners to make. I would suggest you give RV Armor a call and allow them to provide you with an estimate to, once and forever, relieve you of all concerns regarding your roof. As they state in their video, you’ll never have to get up on that roof again. After seeing RV Armor in person, and getting to know the company and the product, I consider all other RV roof maintenance products just about unnecessary, and simply not worth the time and expense it takes each and every season. 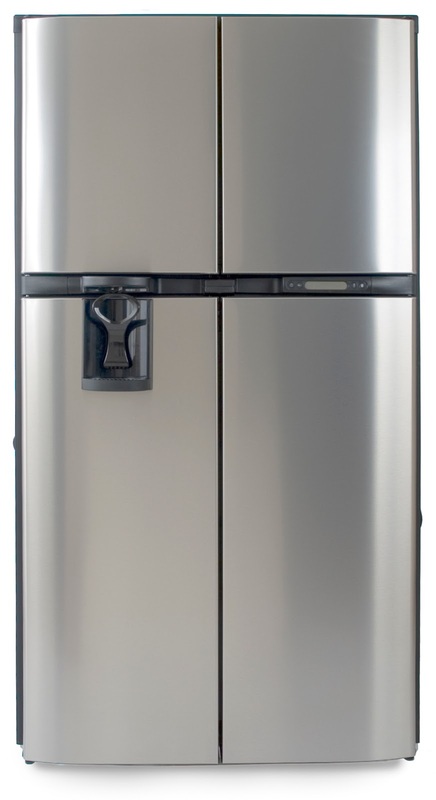 As for your Norcold unit not cooling properly, and that condensation is forming, I’d suggest looking at the integrity of the door seals. It's rather typical that the freezer section seems to cool first since that is the first evaporator the condensed contents flows into. But also, considering the issues with this model and the fact that moisture has apparently intruded into the controls somehow creates additional operational concerns. One of the easiest to understand websites I’ve researched, as well as the magnet procedure (and alternate methods) can be found here. This page addresses the recall situation also. Slide a few inches down the page and look for "What to do first if Norcold recall or ARP Trips." I certainly hope this helps! Where's the VIN on my 5th Wheel? I have been given a fifth-wheel that has no title. I am in the process of obtaining that, but need to know where I can find the VIN number. An internet search has proved fruitless and those responding often tell me to look on the tongue next to the bumper hitch. Obviously, they don't know what a fifth wheel trailer is. I'd truly appreciate your help. I do enjoy your information coming to my inbox every week- I'm learning loads! thank you in advance. Tina, for towable recreational vehicles, fifth-wheels and conventional travel trailers, the Federal certification label with the manufacturer’s VIN is typically found on the left, roadside front corner of the coach, near the bottom of the sidewall. In some cases, it may also be posted inside a cabinet door or even on the entry screen door. But the required spot is at that front left corner, down low on the sidewall. Here's an example provided by Keystone RV.